All bags and persons may be subject to search for safety and security reasons. As a reminder, please be respectful and follow the directions of our parking lot staff when exiting the property. We appreciate your patience. In case of emergency, follow instructions from staff or emergency personnel. What is available for those needing accessible seating? For guests who require accessible seating, ADA seats are located on either side of the Orchestra and Mezzanine sections. Non-professional, non-flash, still photography is permitted at most events. However, for some events, at the request of the artist/performer, photography of any type may be prohibited. On show days, any adjusted policy will be advertised on signs at the entrance to the venue. Video and audio recording devices, flash photography, professional photography equipment (such as those cameras with interchangeable lenses) are not permitted without express written consent. Point-and-shoot/compact style cameras, and cell phone cameras are permitted, however, video recording using a cell phone camera or any type of mobile device is prohibited. American Music Theatre reserves the right to confiscate any photo or recording device if policy signs are ignored. Patrons found possessing professional equipment not expressly authorized will be asked to leave their cameras in their vehicles, or will otherwise be escorted from the venue. This policy will be strictly enforced and management reserves the right to deny any electronic device at their discretion. What is your bad weather cancellation policy? AMT Original Shows – If an AMT Original Show is presented as scheduled, ticket holders may exchange their tickets for another date during the run of that same show. Ticket holders must contact the Box Office prior to the start of their original ticketed performance in order to make an exchange. On the slight chance we do cancel an Original Show due to bad weather, ticket holders will be notified and a message will be posted on our website. Ticket holders will have the option of exchanging their tickets for another date during the run of that same show. Celebrity Concerts – If the artist/band arrives at AMT, the show will go on as scheduled and tickets will remain non-refundable and non-exchangeable. If a show is cancelled or postponed due the artist/band’s inability to travel, the ticket-purchaser will be notified with the reschedule date or ticket refund information. Please note, AMT is only able to contact individuals who provide an email address or phone number at the point of purchase. What are your General Cancellation and Refund Policies? Original Show tickets can be refunded if cancelled prior to the start of the specific performance in which guests are currently holding tickets. American Music Theatre retains the $3.50 service fee, but the full face value of the ticket is refunded. Children age 2 and younger do not need a ticket IF they will be sitting on an adult’s lap. Youth tickets are available for AMT Original Shows for guests ages 3-17. What is your stroller policy? Due to potential safety hazards, strollers are not permitted in rows or in the aisles. If a stroller is necessary to transport a child to their theatre seat, an AMT usher will gladly move and store your stroller in the back of the theatre until the end of the show. For the convenience of others, guests are encouraged to leave strollers at home or in their vehicles prior to arrival at the theatre. Parents of young children are reminded that the front row of our balcony (row AA) has a small barrier, but is otherwise open, and could present a hazard for unattended children. Depending upon the height of the child, the small barrier may impair view of the stage. We also remind our patrons that our mezzanine level is located on the main floor of the theatre, the same level as our orchestra seating. For our Box Office hours of operation, please click here. After selecting your seats from the seating chart, your tickets will go into your Shopping Cart. The discount will be automatically reflected in the pricing for each applicable ticket. AMT Gift Cards are the perfect choice for anyone who loves music and shows. They can be purchased in any denomination and can be used toward Original Show and Celebrity Concert tickets. They can also be used in our concession stand and gift shop. 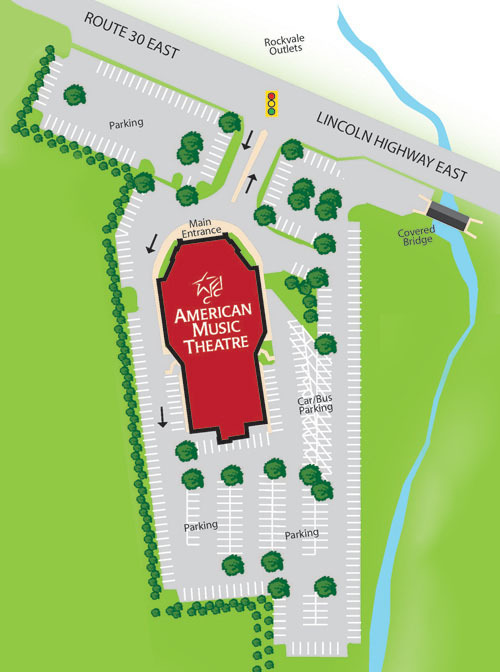 You can purchase AMT Gift Cards at the box office, over the phone, or online by clicking here. Gift Cards can be redeemed in person, over the phone, or on our website. AMT Gift Cards, along with customer credits, have a redemption period of ten (10) years from the date of issuance. Looking for a unique way to wish someone a happy birthday, celebrate a special occasion, or acknowledge a family event? For $10.00 per message, your special message can be displayed on the AMT in-theatre video screens before a show and during intermission (where applicable). Requests must be submitted at least ten (10) days in advance of show. To place your special message request, contact our Box Office at 800-648-4102 with the specific show date and time and the message you’d like to display. It’s that simple! AMT reserves the right to approve and edit any message, if necessary. Screens may contain multiple messages, if space warrants. This service is not currently available online. WHEN ARE THE GIFT SHOP AND CONCESSION STANDS OPEN, and what is available? During show times, our Gift Shop and Concession Stands are open and brimming with unique gifts and tasty snacks. For an informative video and helpful information on each, click Gift Shop and Concessions to find out more. My Will Call Tickets? Our Will Call window is located at the Box Office, inside the main lobby of the Theatre. Just look for our large “WILL CALL – Pick Up Will Call Tickets Here” sign on the Box Office counter. A Coat Rack? We have two areas where you can hang your coat or jacket. They’re located on the east and west sides of the main lobby, at entrances just under the staircases. What’s the easiest way for me to enter the building? For guests in need of elevator to gain access to our second floor (Balcony level), please use the entrance on the east side. The elevator is located near the Box Office area. What restaurants and hotels are nearby? There is a great selection of favorite locally owned, and tried-and-true chain restaurants within a few miles of AMT to choose from. We’re also fortunate to have a number of hotels close by. Our Reservations Staff would be happy to make recommendations for both restaurants and hotels, or you may want to visit the “Places to Eat” and “Places to Stay” pages of the Discover Lancaster website or the Hershey Harrisburg Visitors Bureau website for more information. For additional information on our local offerings, click here. What Is Your Firearm Policy? American Music Theatre (AMT) recognizes that Pennsylvania is an open-carry state for firearms. However, AMT requires that no open or visible display of firearms occur on premises. As such, any guests who choose to carry firearms must adhere to conceal carry within the theatre or on theatre grounds, and must comply with all PA state laws. AMT reserves the right to contact law enforcement as necessary to resolve any disputes. Our Original Shows typically run 2 hours and 15 minutes, and have an intermission about half way through. Our celebrity concerts last anywhere from 75 minutes to 2 hours or more, depending on the artists preference. These shows occasionally include some type of break or intermission.